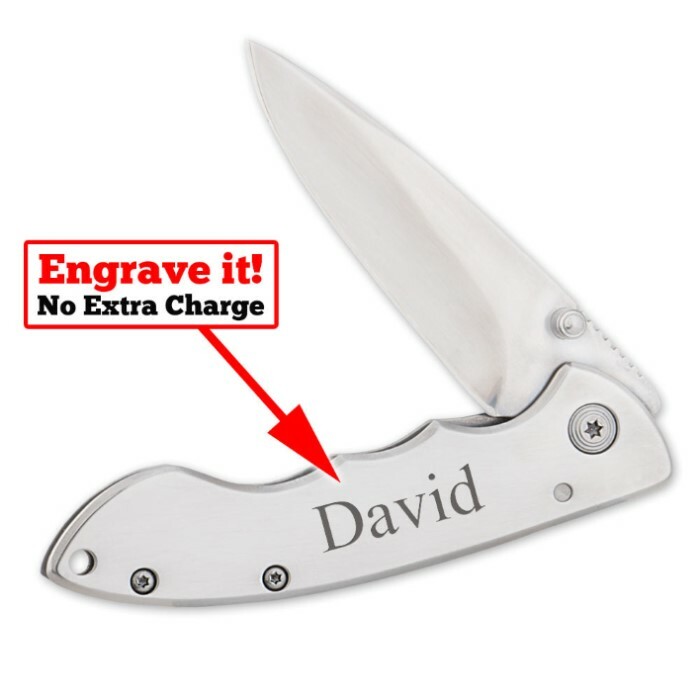 Personalized Pocket Knife | BUDK.com - Knives & Swords At The Lowest Prices! If you're looking for the perfect gift for anyone, you've found it. This personalized pocket knife is only $12.99 and that includes the personalization! 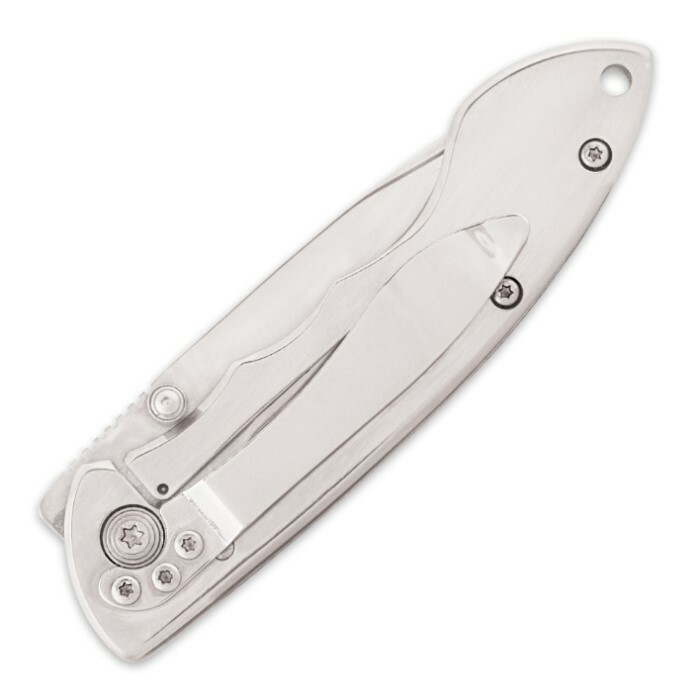 Have a name or message laser etched on to the beautiful stainless steel handle of this knife to show that special someone that you really care. Whether it's a groomsman, husband or someone graduating or getting married, this is the perfect gift to commemorate the occasion. Get yours now before it's too late! You will not be disappointed! Purchased the personalized knife as a gift for my daughter. I must say that I'm pleased with the knife and the engraving is professional looking and classy. I'm looking forward to her seeing it on Christmas day. I've been pleased with this company after 2 orders. Looking forward to more purchases.